Learn the Haglunds deformity-Arthrex Bio-corkscrew & postero-lateral approach surgical technique with step by step instructions on OrthOracle. Our e-learning platform contains high resolution images and a certified CME of the Haglunds deformity-Arthrex Bio-corkscrew & postero-lateral approach surgical procedure. There are three main varities of pathology effecting the area of the Achilles tendon insertion and to which the description of a Haglunds’ deformity are commonly(and loosely) applied. Most often the pathology is one of degenerative change at Achilles the insertion with associated intra-tendinous calcification. There may or may not be an element of anatomical prominence of the postero-lateral Calcaneus associated. Less commonly the Achilles tendon is normal and the issue is an anatomical variation of the postero-lateral corner of the Calcaneus causing pressure when in shoe-wear. The third occurrence is a Calcaneus that is anatomically prominent posteriorly ,laterally and superiorly. This can cause direct impingement upon the deep(anterior) aspect of the Achilles in the retro-calcaneal area. More rarely, and usually associated with insertional tendinosis, the symptomatic area can be postero-medial. All can be treated using the same surgical principles with successful outcome expected in the majority of patients as long as the exact location and nature of the pathology is understood and addressed with the operation . 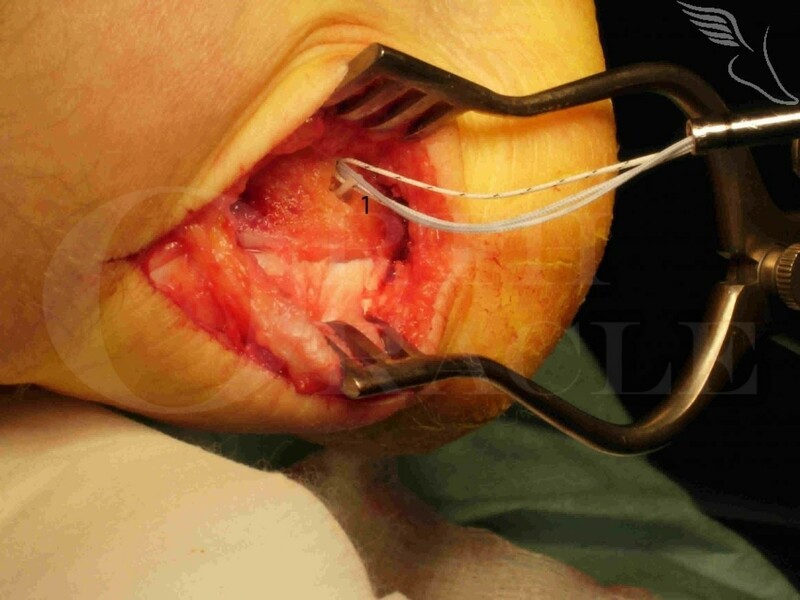 Non-operative treatment is somewhat less successful here than for problems with the main body of the Achilles tendon .